With over one billion active YouTube users, and more than five billion videos being watched every day on YouTube, we now eat, sleep and breathe video! Today, more than half of all YouTube views occur on mobile and we watch on average 39 minutes of video on our phones every day. So, how can advertisers use video to deliver the right message to the right people during their right micro-moment on the web? We no longer think of video advertising as a channel solely for increasing engagements (i.e. video views) – it is much more powerful than this. If you can a.) create demand for your brand b.) reach the right people and c.) combine this with purchase intent, then video becomes a channel which adds value to many other areas of your business. Let’s take a look at how to ensure your video campaigns are adding “True” value to your brand by first taking a look at the above elements in more detail. Engaging brand content is a fantastic way to create demand, but how can you differentiate yourself from other brands competing in the video space? Users will be actively in the market to watch videos, and often with the intention to buy too, but they may not be aware of your brand, or have ever thought about the types of products or services that you offer. Using video in this way will help add valuable traffic across multiple channels. Google highlighted that 35% of users are more likely to search for your brand after seeing a video ad, so if you’re not already visible in the video space, then you’re missing a trick! So, you’ve thought about creating demand through video, but how can you ensure that you are reaching the right people? If your target audience does not watch videos, then a video campaign will not be suitable for your purposes. However, with video predicted to account for 69% of all online data traffic in 2017, it would be hard to believe that a video campaign wouldn’t leverage your other online activity. TrueView offers two types of video ads; in-stream and in-display. The type of ad format you adopt will largely depend on your marketing objectives. Do you want to increase brand awareness or is your goal to deliver incremental sales? 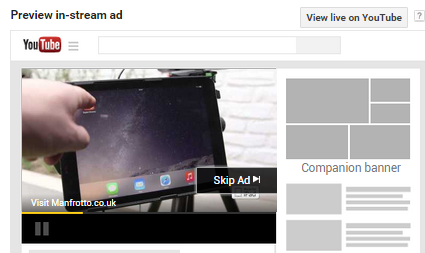 YouTube users will be oh too familiar with the ‘Skip Ad’ button – this is in-stream. It is obligatory for the user to watch the first five seconds, after which they have the option to skip the rest of the ad. Give them a reason to watch more! Grab their attention: hook, line and sinker. After all, your video campaign is only as good as the video itself. 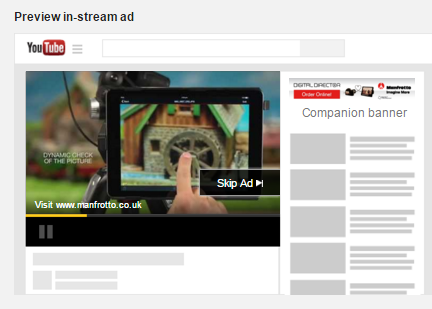 You can also add a companion banner alongside in-stream ads. This will appear on the right-hand side of your video. This will help to increase engagement rates of users, as they are more likely to click or view your video if you have dominated the results page. In-display is the format which shows up next to other YouTube videos. Viewers will need to actively click on your video to watch it, so content is crucial. As well as pinpointing your ad format, think about your audience. For existing visitors, reinforce your brand message and think about ways to increase their lifetime value, perhaps with an offer or promotion. Use remarketing to tailor your ads to millions of people based on their historic behaviour. If they have actively engaged with your brand and videos, they are much more likely to re-engage. Also think about remarketing to people based on their YouTube interactions; likes, dislikes and comments. Likewise you can also remarket to people dynamically – so the world is your oyster. And for new visitors, content is key. The key is creating demand for your video and then converting the user via other channels. A recent statistic by Google stated that 42% of online shoppers use video during their pre-purchase research and 64% of people use YouTube to find products. So what better way than to tempt users to buy from your site than with your Google Shopping Feed? With the release of Shopping Ads on YouTube in October, advertisers can expand their shopping ads beyond the search space. They can now show in contextually relevant videos to give the user intent to buy. What’s more, you can continue to manage your feed using the Google Merchant Center, so there is no need to set up a separate feed. 55% of small and medium-sized businesses ceased advertising on YouTube because they expected clicks or conversions and didn’t get them. But it’s important to highlight the value video advertising can bring outside of direct clicks and conversions: be it cross-channel uplift, assisted conversions or building your brand reputation. Multi-channel reports in Google Analytics are great for understanding where your video campaigns have assisted in a final sale. Google Analytics will also help you to understand if you saw an uplift in branded traffic as a result of your campaign for other channels. Did direct traffic increase over a like-for-like period, or did you see search traffic increase? We recently ran a TrueView campaign for a large professional photography retailer with the objective to boost awareness and drive sales. We saw average View-Through rates of 24.24%, which in comparison to the 4% previously achieved far exceeded our expectations. The campaign saw a considerable uplift in assisted conversions, where paid search later converted the user. Understand your metrics. Did you see an equally high click-through rate? If not, at what point were people closing the video? Were the call-to-actions strong? And were people using the video in the right way? These answers will help to guide the changes that you make to your campaign. If your campaign contributed to any of the above, then you are onto a winner. If it didn’t, then think about a few things: have you let the campaign run long enough to fully understand its value? Perhaps then consider ways you can alter your strategy for improved performance. And, of course: mobile, mobile, mobile. With such a high proportion of users viewing your videos and seeing your ads on mobile devices, understand the value of this device. Google Analytics will also allow you to dig deep into this attribution data. A recent prediction by Google states that by 2017 video will account for 69% of all online data traffic. So, as we move away from recognising TrueView solely as an engagement channel, we can begin to understand the full value that video advertising can bring. Be part of a micro-moment in your user’s journey and you can begin reaping the benefits from various other areas of your business. 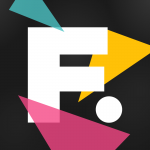 July this year saw the launch of our video and production suite and we’ve been going from strength to strength with the Found Video Team now producing a range of projects for existing and new clients. Get in touch and learn how Found can help, we’d love to hear from you.